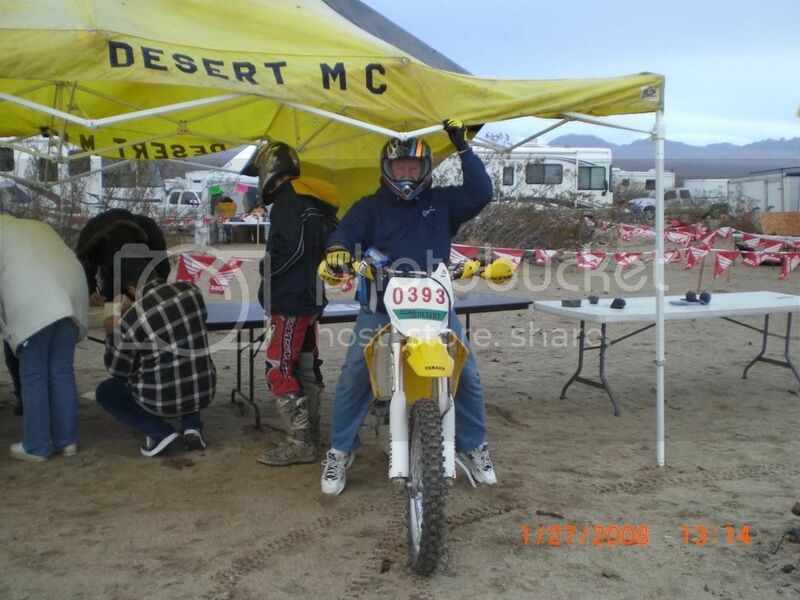 Famous desert racer seen at the Desert M/C National Hare & Hound. WOOHOO! It's good to see a cool wind doesn't slow the dez guys down. Great number for a couple of great guys. I couldn't help but notice that right hand guard. I trust you got that straightened out before racing, Dane. I heard the conditions were epic! Sorry we missed this one. the hand gaurd is actually broken I believe. I guess it did it's job. Tell pops you'll skip the Valentine for the girlfriend and buy him a new one. David; Dirtbiknkid is correct, the top half broke off in a crash. I broke it last weekend when I went down hard in the rocks in the enduro. I haven't received the new ones yet so I had to race with it that way. Kevin; conditions were EPIC! 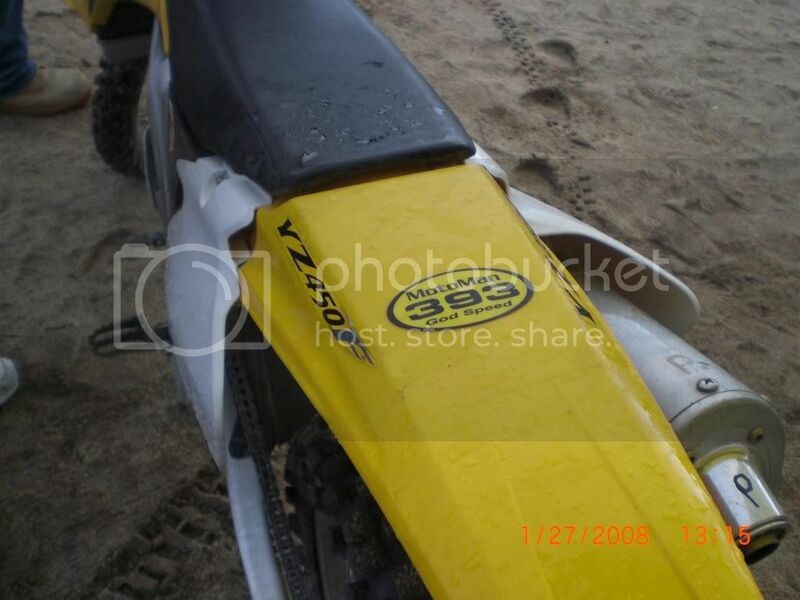 It was dry and dusty with a little drizzle in the air as you can see on my bike in the close up of the back fender. It rained overnight and the dirt got nice & wet so we had NO dust for the race. The wind came up and dried all that out so by the time we loaded up and headed out it was dusty driving out Bessemer mine road. 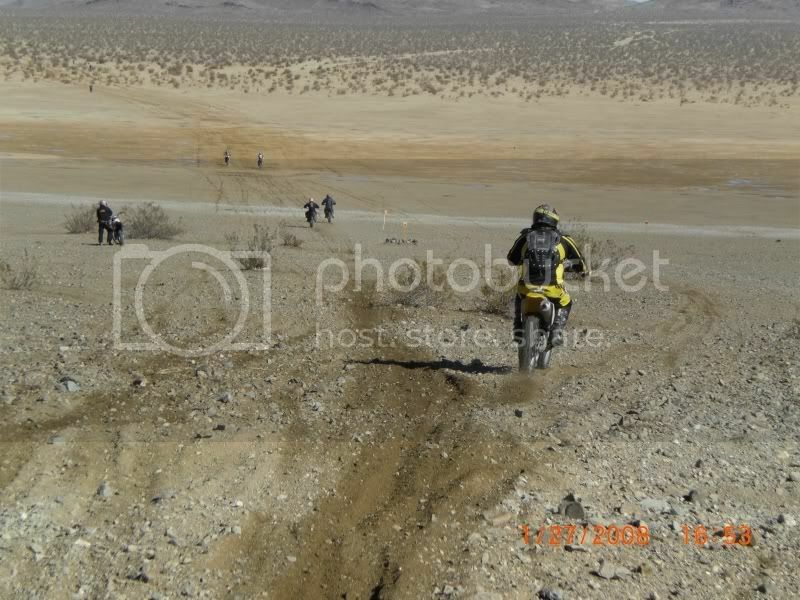 Cool rain at a dez race, equals go fast!!!!!!! Look Dane is on his toes!!!!! !The last pic why are you going the long way? It was smoother which is faster. I passed both of those guys in short order. I love a 450! it wasn't too much further down the road (maybe 5 miles or a little more) that I went kister over tea kettle on a road crossing and let those two back by me. Dane.... Motocrossers don't understand smooth cuz they suffer from "short time riding syndrome". More fun....click on the pictures on the right. Last edited by Mainjet2001; 01-31-2008 at 07:10 AM. It's good to see that a "Great Guy" in nunning a "Great Number". Keep up the good work Dane. Your one fast dude. Just stay up-right please. I've stood next to both of you and in my book, you're both two pretty tall men.